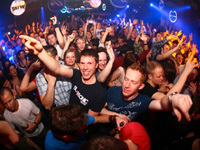 If you are looking to spend the night out on the town in Massachusetts you should check out our complete guide to the best nightlife in MA. From restaurants to bars to clubs, we have it all! Our list includes all of the best MA nightlife locations. 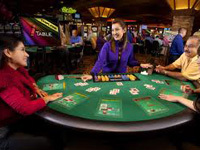 Play slot machines or choose the table games instead, at these MA casinos you will have a fantastic night. Enjoy an exciting night at one of these casinos the next time you visit Massachusetts. If you want to spend an intimate evening with your loved one, you should consider a dinner cruise in MA. Enjoy great scenery and food while aboard one of these Massachusetts dinner cruises. Take a break from the crazy bar and club scene but still enjoy a night out at one of these MA lounges. 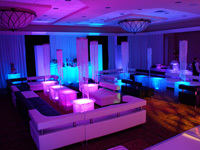 We have a complete list to the best lounges in Massachusetts so you don't have to search them yourself. If you're looking for a way to unwind after a tiring day check out these Massachusetts bars. No matter what type of bar you want to visit in MA we have them all listed for you. Spend the night out at one of MA's hottest clubs. You are guaranteed to have a good time when you go to one of the Massachusetts clubs featured in our guide. 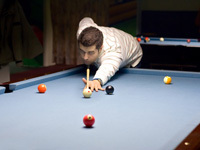 Find a complete guide to the best pool halls in MA. Spend the night with a few friends playing some games and relaxing at one of these Massachusetts pool halls.